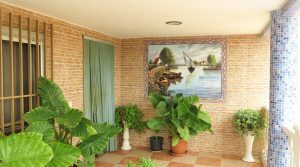 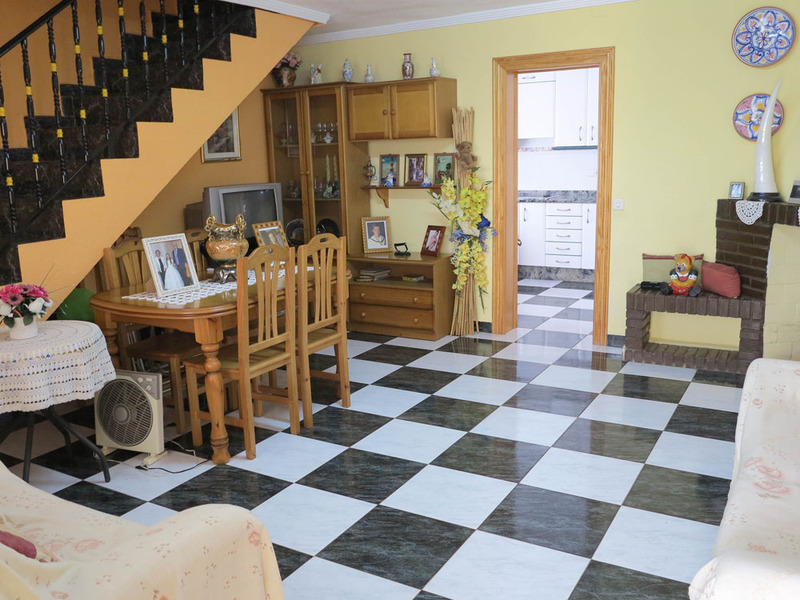 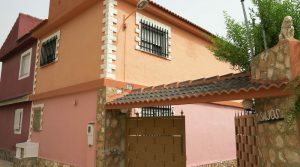 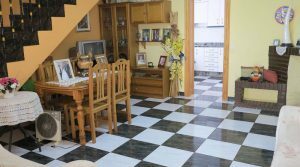 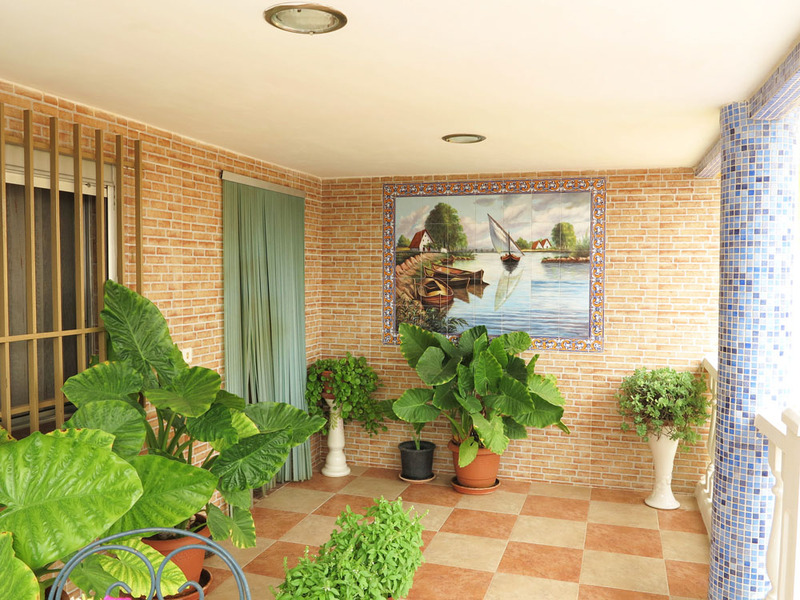 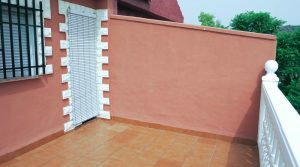 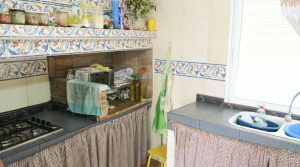 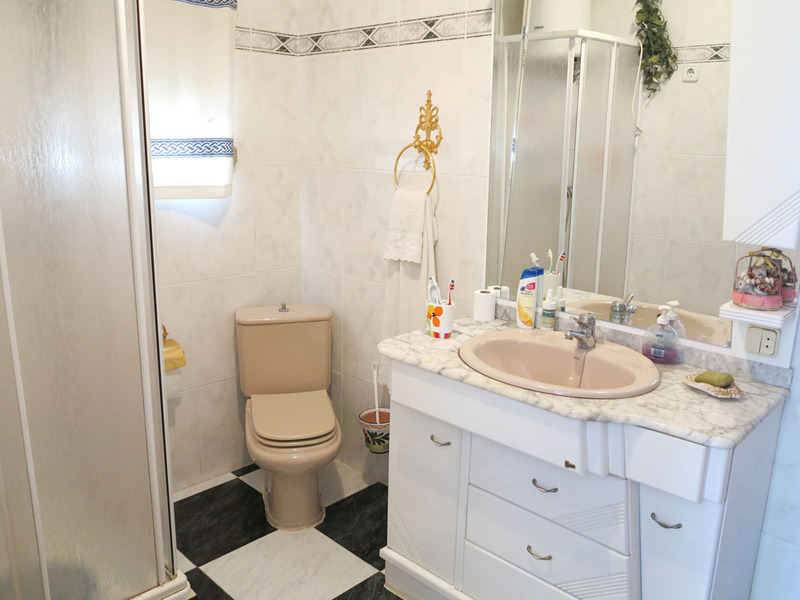 Situated just 1km from the town, a well presented semi-detached property for sale Montroy Valencia. 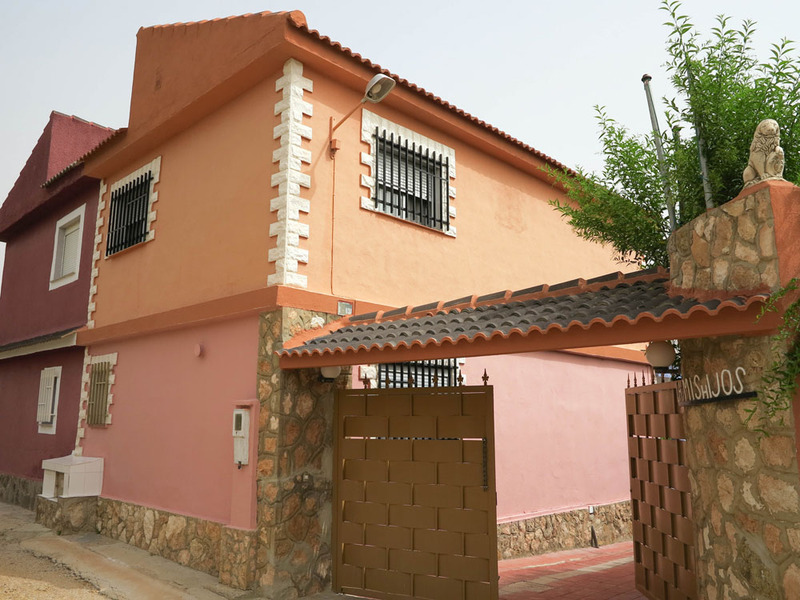 This semi-detached property has a unique position enjoying much privacy in the gardens as the neighbouring property’s gardens are at a different angle which means that this property has much privacy which is unusual for a semi-detached construction. 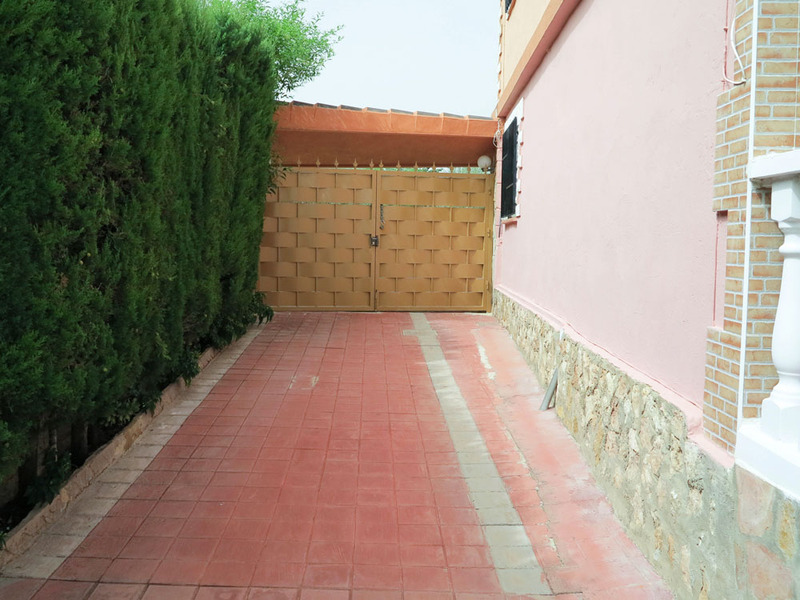 The property has two entrances that can be used, there is the principal entrance at the front of the house, where you have a driveway taking you to the garage at the side of the villa. 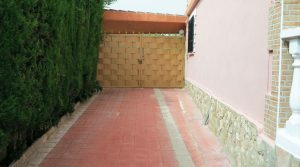 Then you have another private driveway entrance at the bottom of the grounds, meaning that you or your friends/guests can come in to a large parking area situated at the bottom of the gardens where the swimming pool is located. 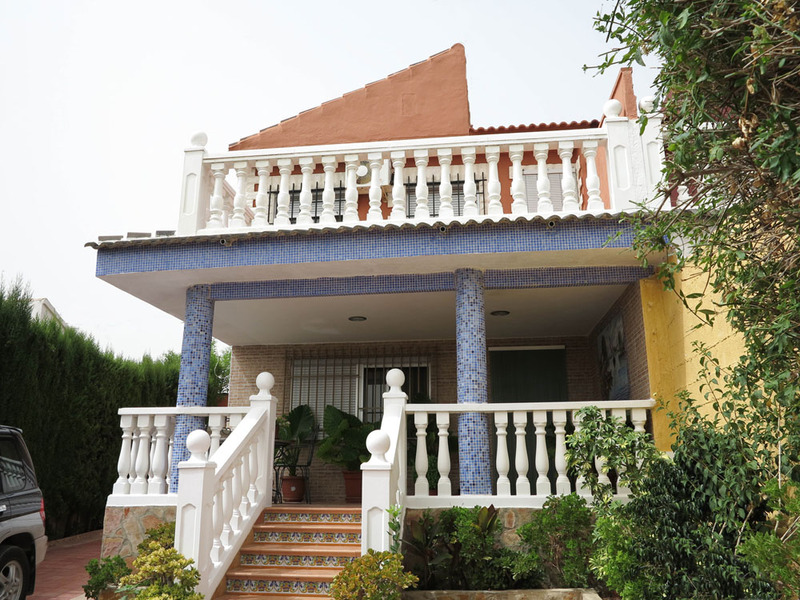 The main villa is a two storey property. 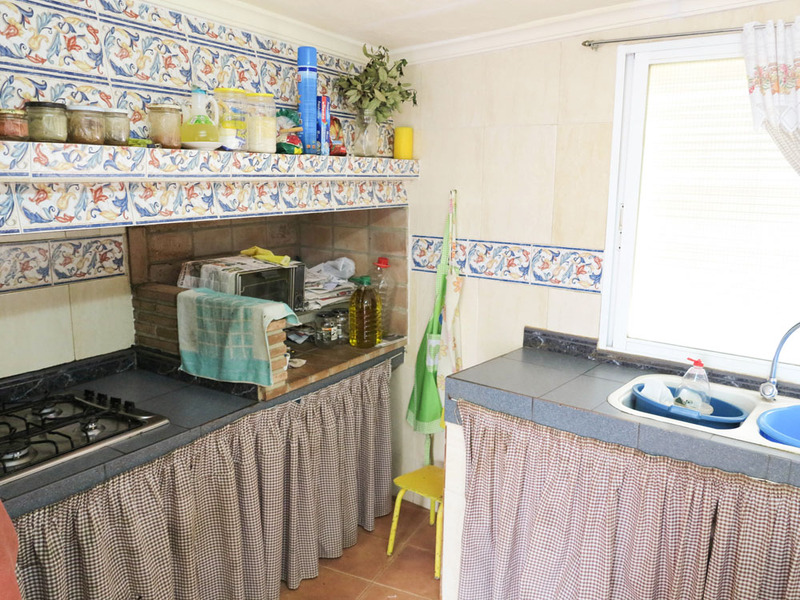 On the ground floor you have a charming front covered terrace before entering in to the lounge/dining room, complete with a chimney fireplace that has a log burning stove. 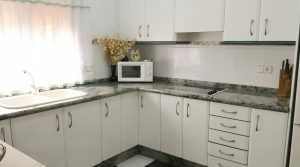 Then there is a white unit modern and fully fitted kitchen and a separate bathroom complete with shower. 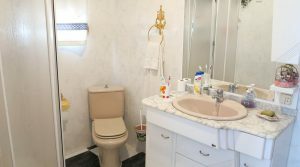 Upstairs on the first floor you have three bedrooms, a small separate dressing room full with fitted wardrobes and a further bathroom. 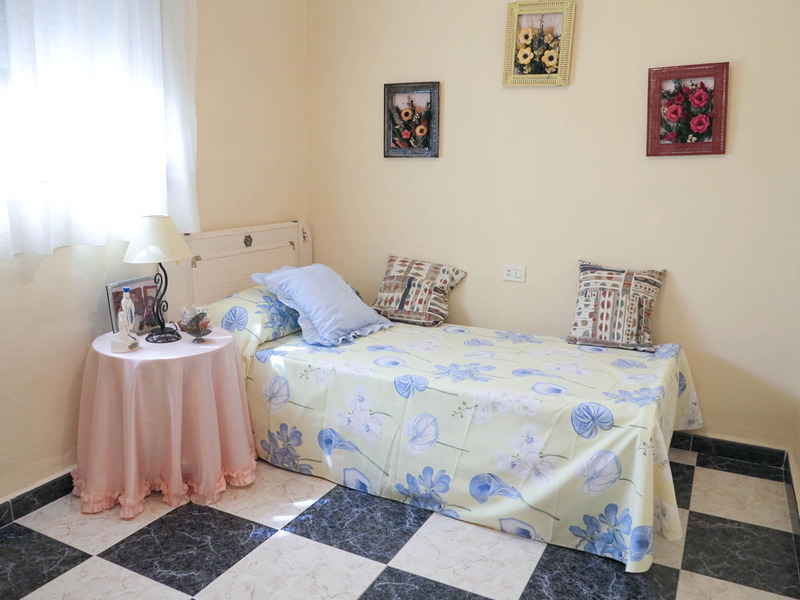 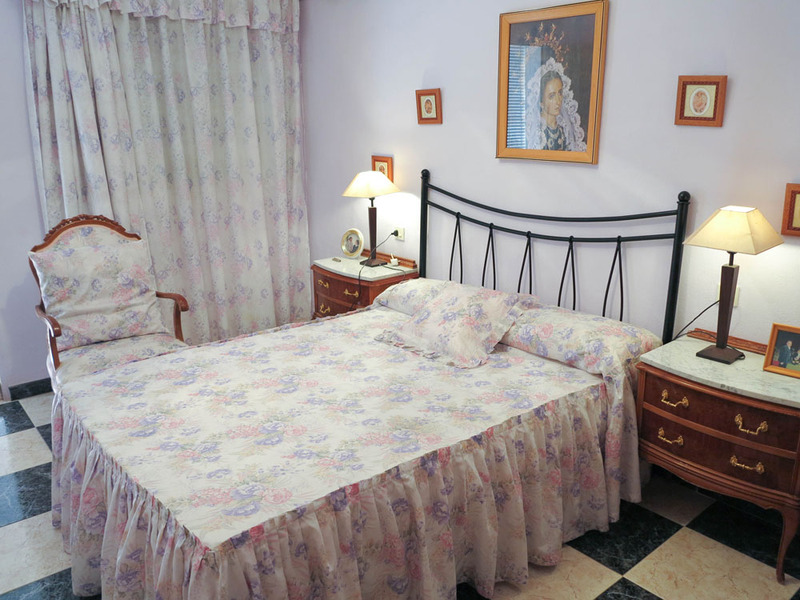 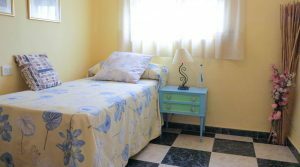 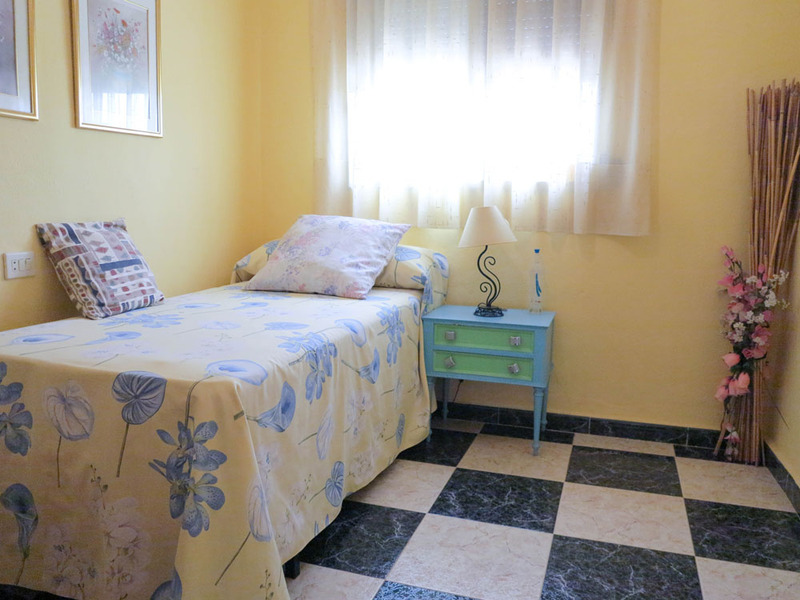 The main bedroom has fitted wardrobes and hot/cold air conditioning and it has a lovely balcony terrace from where you can overlook your gardens and grounds. 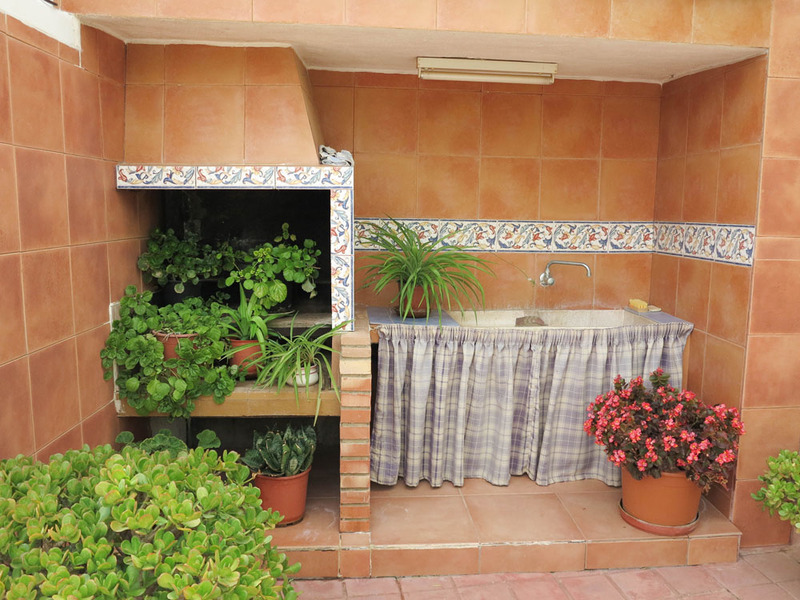 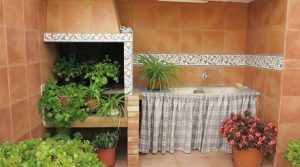 Outside you have a garage that is currently being used as a dry store room and an outside kitchen/paellero. 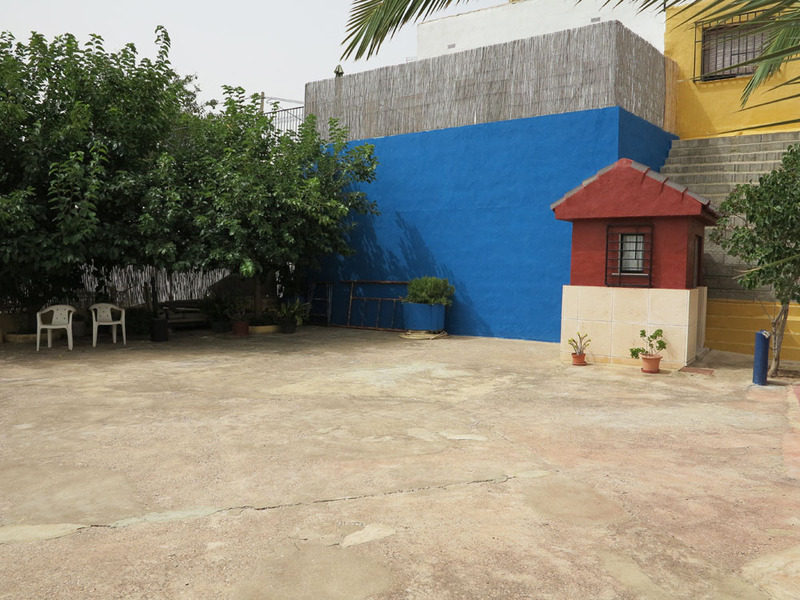 This is ideally situated close to the covered terrace of the property making it good for entertaining. 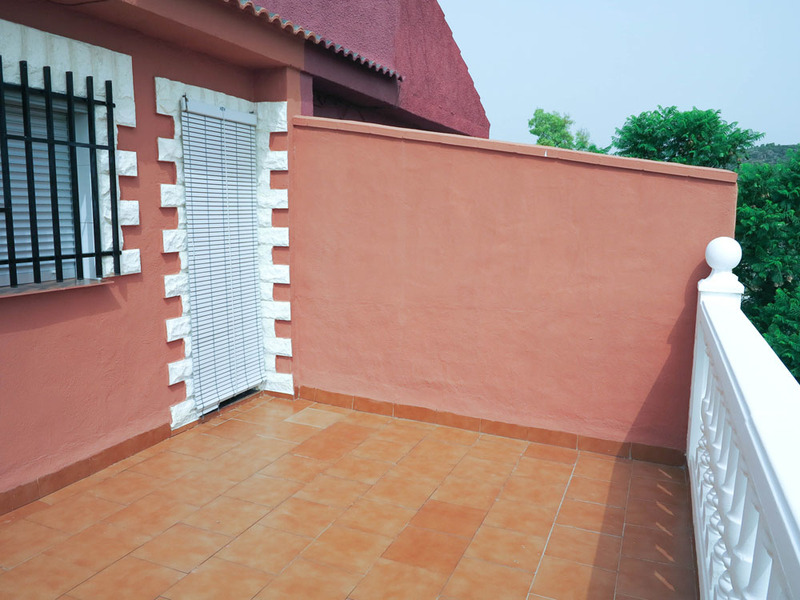 Next door to this there is an outside W.C. and you will find that all the terraces have been beautifully made with coloured concrete impression. 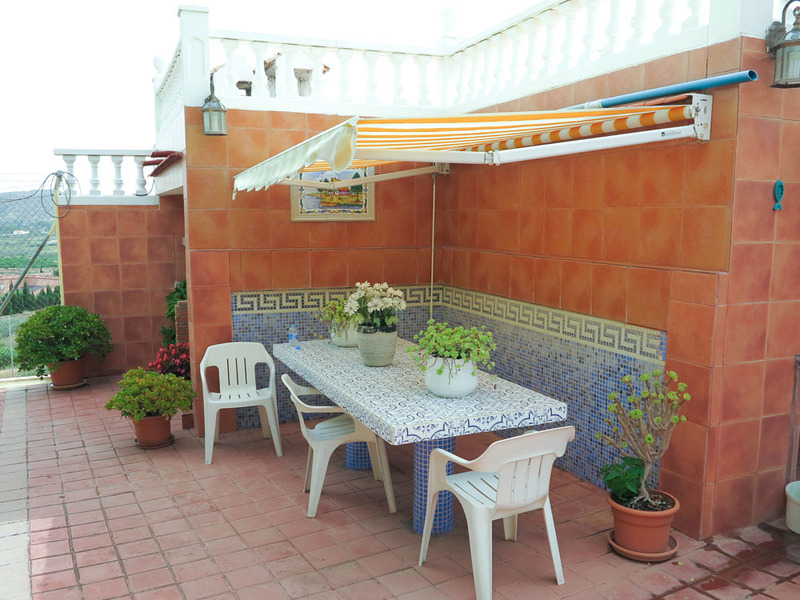 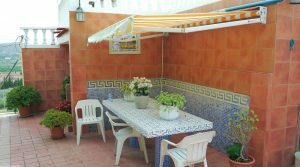 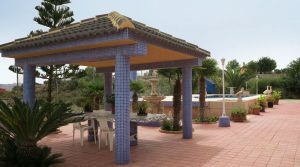 Down on the lower terrace there is a barbecue area next to a covered terrace and the 8m x 4m tiled swimming pool and pool side terrace with shower. 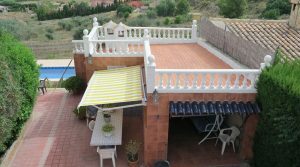 Underneath this pool side terrace there is a 21m² pool house where the filter and pump system is kept and well maintained. 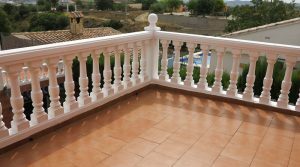 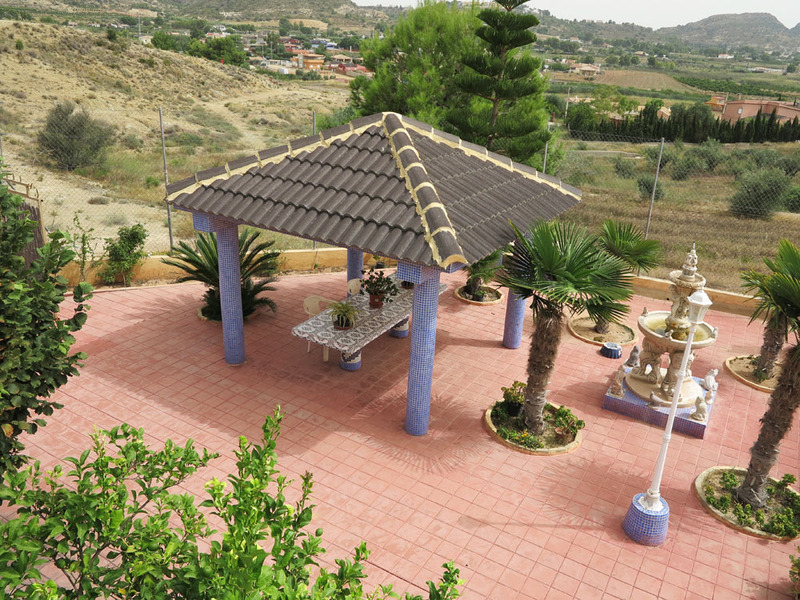 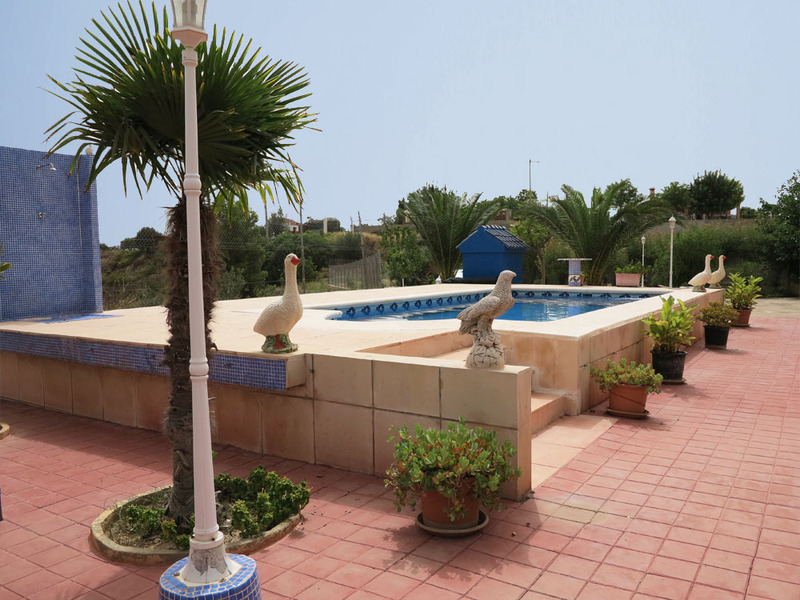 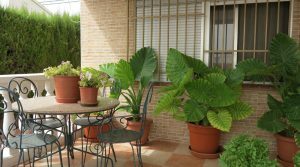 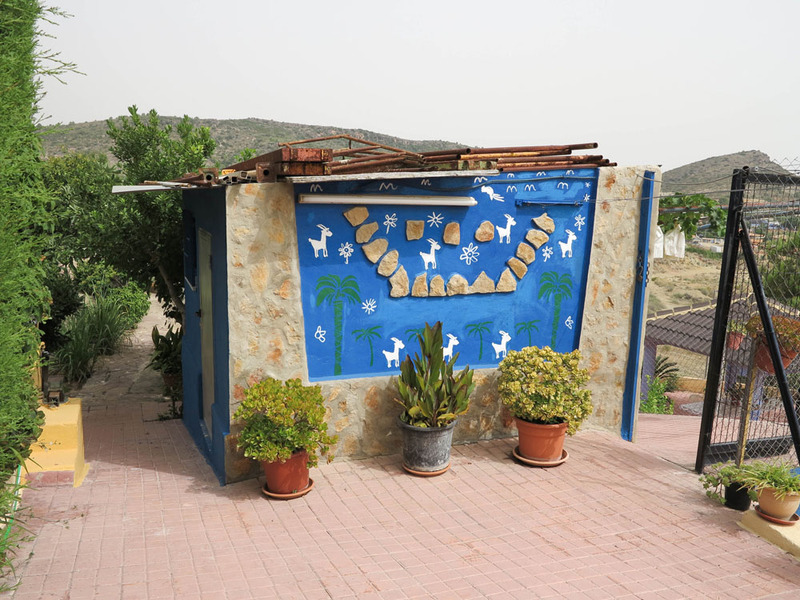 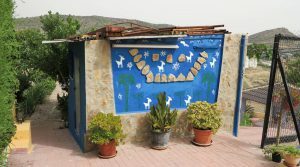 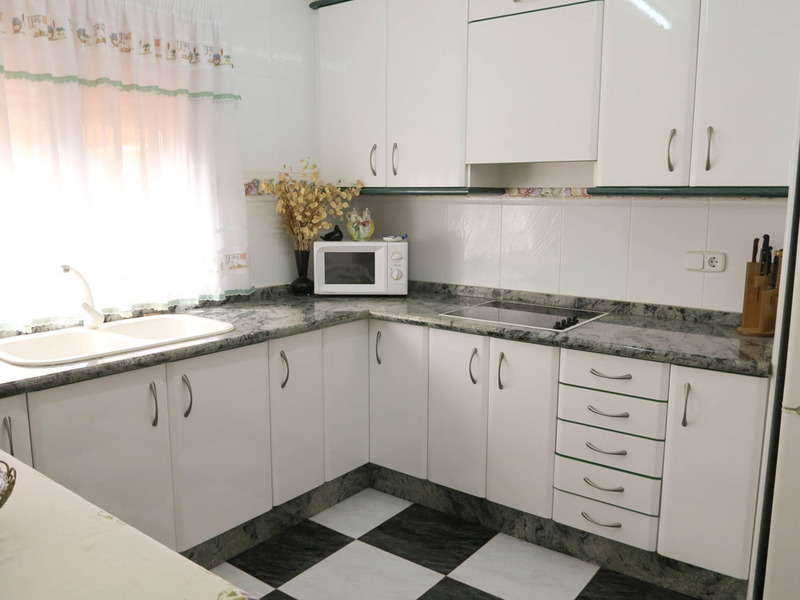 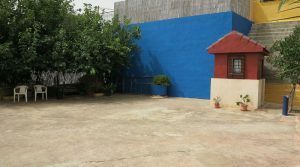 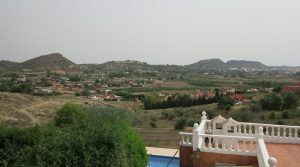 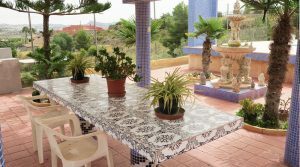 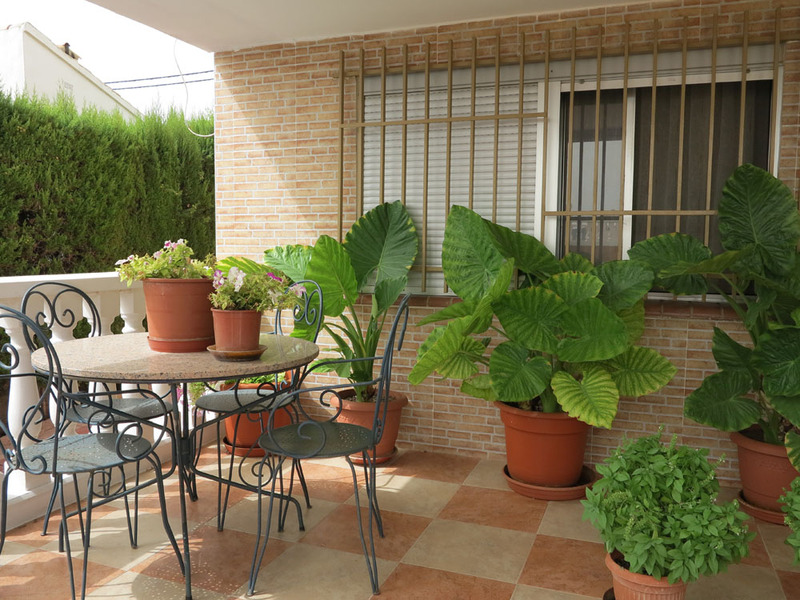 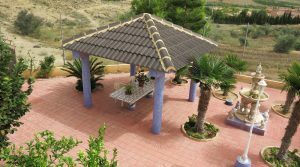 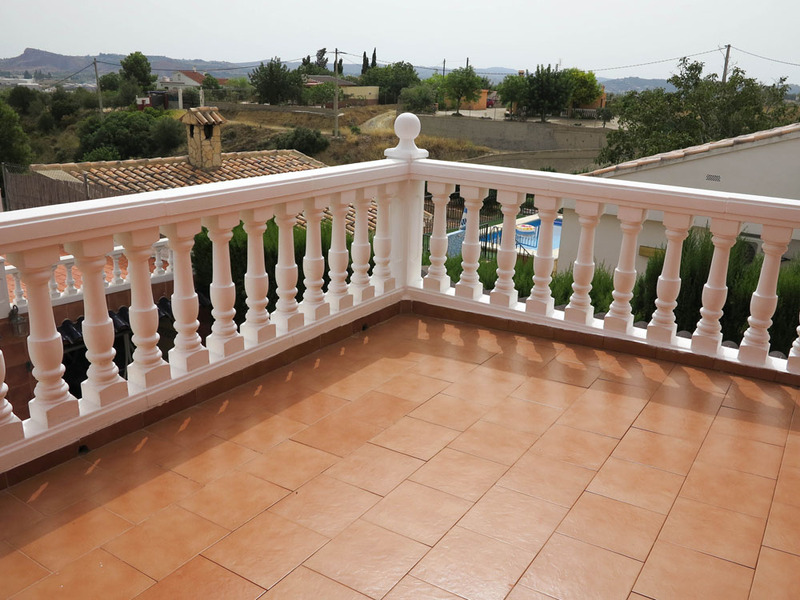 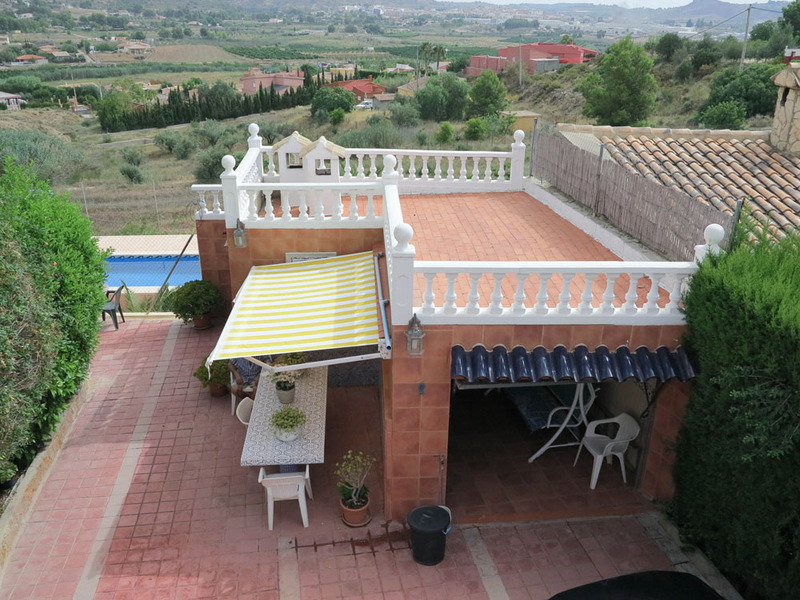 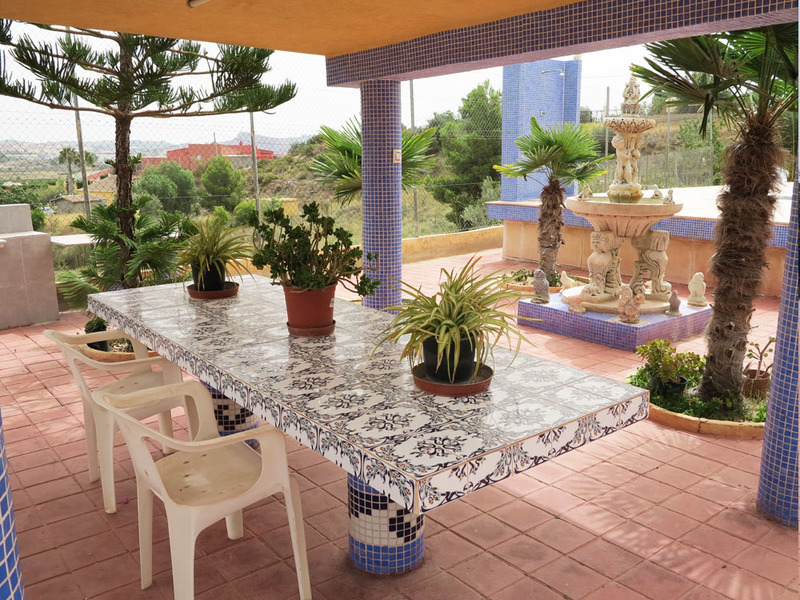 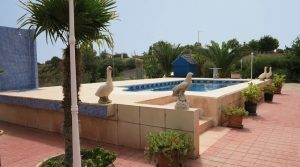 This is a very spacious area and enjoys unspoilt views across to Monserrat town which is just over a 2km flat walk away. 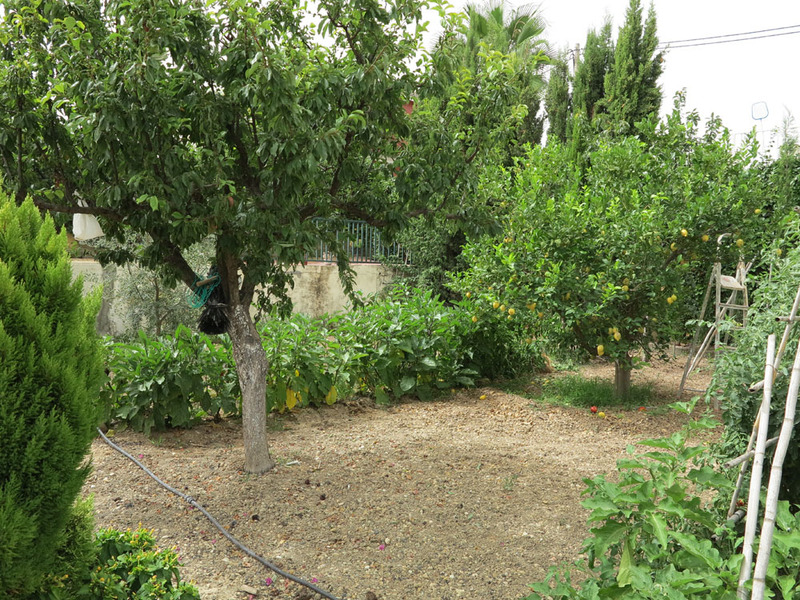 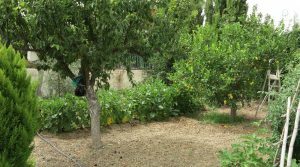 This property has large grounds and within the gardens there is a wide selection of fruit trees including lemon,orange, plumb, olive, pomegranate and fig trees all on an automatic watering system. 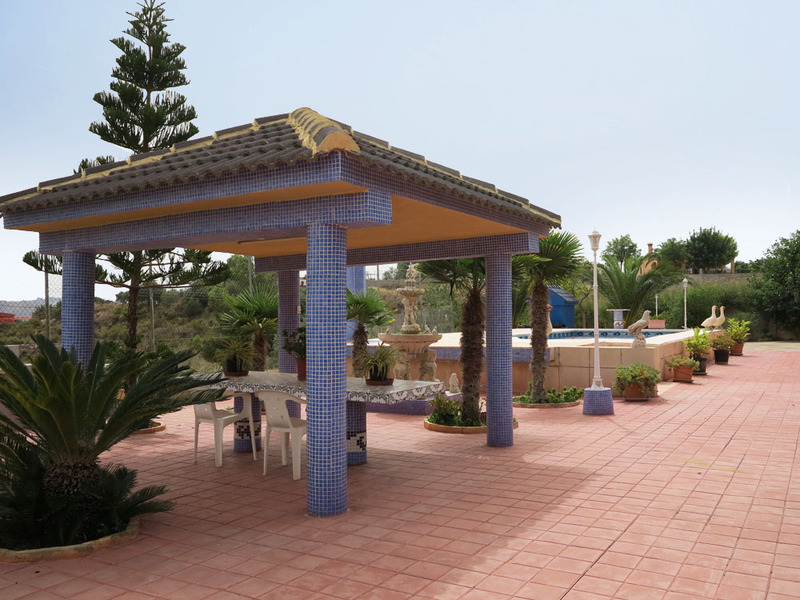 Then you also have a large flat clear area of land which the owners purchased for their grandchildren to be able to play football on located at the bottom side area of the grounds. 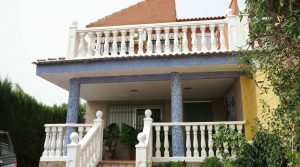 This villa is being sold fully furnished.